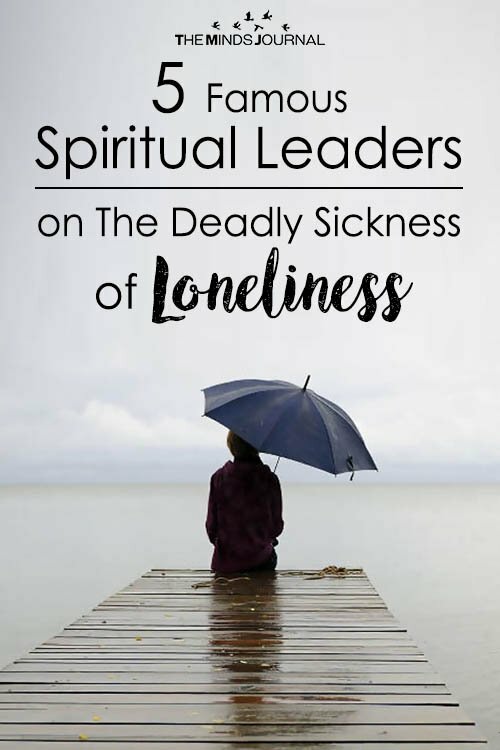 It is quite telling that so many of today’s spiritual leaders have made so many comments about loneliness, all pointing in the same direction: the need to fully connect with the self. The cure for the desperation of loneliness is learning to be at peace in yourself, and once this is achieved, the world changes and relationships take on more depth and meaning than they ever had. In such a fast-paced, hyper-connected world, the traditions of spiritual wisdom remind us that the human journey of finding peace and happiness is one that takes place inside ourselves and that we do not need external influences to give us what we need to be filled with love. 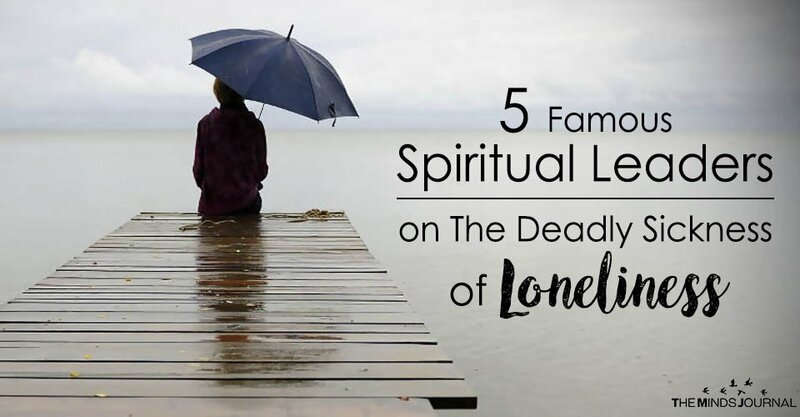 This article (What 5 Great Spiritual Leaders Have to Say About the Deadly Sickness of Loneliness) was originally created and published by Waking Times and is published here under a Creative Commons license with attribution to Dylan Charles and WakingTimes.com. It may be re-posted freely with proper attribution, author bio, and this copyright statement.